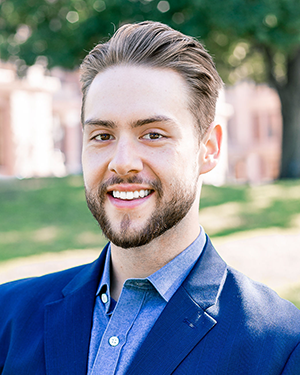 Will has executed digital strategies for local, state, and international campaigns, helping him expertly tailor our approach to each client's goals. Will’s wide range of experience has cultivated skills in all aspects of digital strategy including campaign ideation, audience targeting, execution and reporting. Throughout his career, from Brenham to Europe and back again, Will has learned to be a digital swiss army knife and navigate any obstacle in his client’s path. A native of Brenham, Texas, Will got his start in digital strategy with the Republican Party of Texas. He then went on to direct a winning mayoral campaign in Fort Bend County before moving to the Netherlands and Germany to work on digital initiatives with the United Nations. During this time, Will held positions as both a marketing team leader and digital strategist with U.N. Partner Organizations located in Ghana and The Hague, Netherlands. Will graduated from Texas State with a B.A. in Political Science and a minor in Applied Sociology. While he’s not captivated by the digital world, Will enjoys traveling, camping, taking care of his (super cool) cacti, and scuba diving.